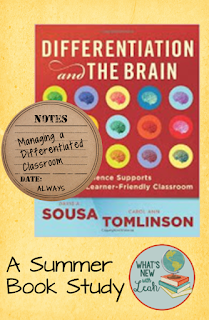 This last chapter is full of ideas for managing a differentiated classroom. As I read, I found myself imagining the many ways I will transform my classroom this year. Chapter 8 distinguishes between leadership and management. Essentially, managers manipulate, while leaders build relationships. 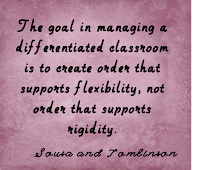 A differentiated classroom must be led through flexibility, not rigidity. Of course, management is a factor in leadership, but not the factor. 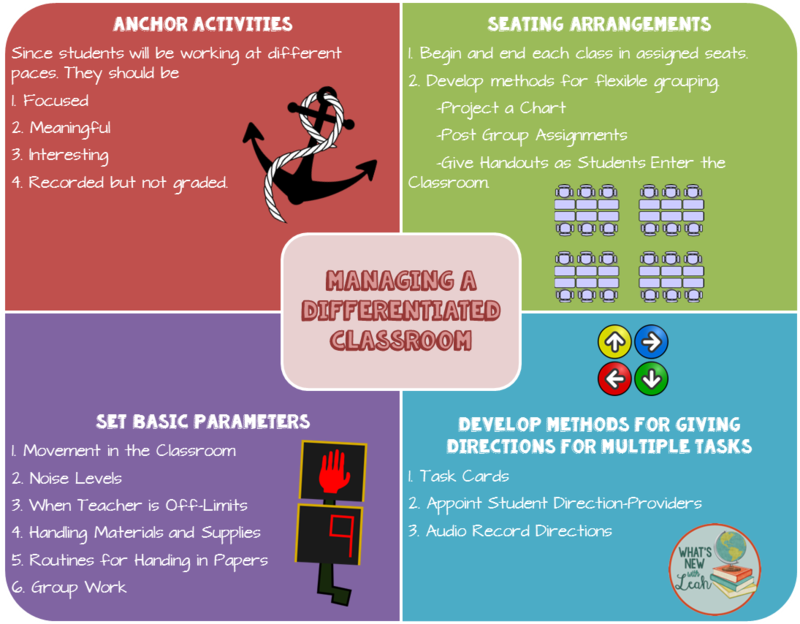 The first sign of a dysfunctional classroom is combativeness. There is a "me against them" attitude on the teacher's part, and the students' respond in kind. This type of dysfunction doesn't occur when the teacher is a genuine leader. 4. Using humor (though not sarcasm). Making the classroom belong to everyone is also imperative. Teachers should make students aware of class goals. 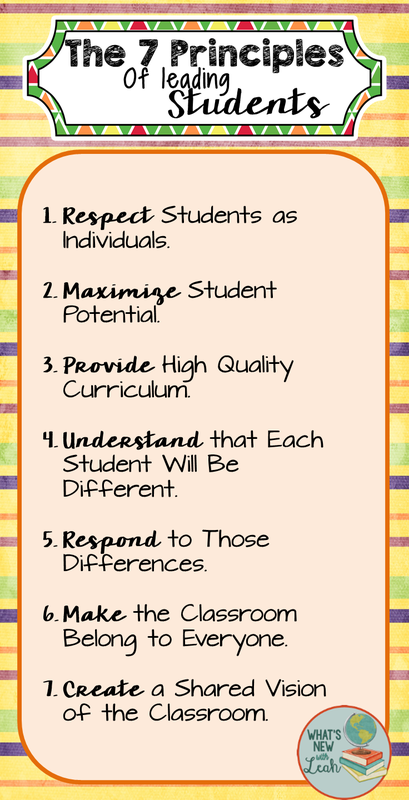 Students should understand why the class is differentiated so that they will feel ownership in the classroom. They recommend a series of activities to illustrate the need for differentiation. One of my favorites is "Paper People." Students color the person according to their preferences, and then display them to try to find one exactly like theirs--that doesn't usually happen. 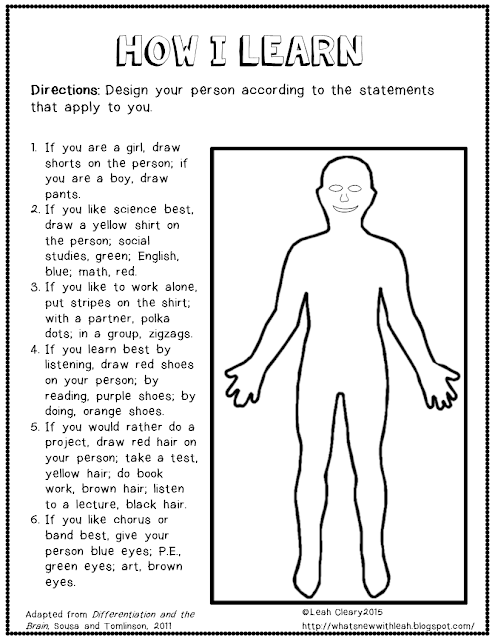 You can download and print this handout by clicking HERE. Also, lead students in finding a shared classroom vision through team-building. 1. Students should understand why the classroom matters. 2. Students should understand why each person is important. 3. Students should feel pride in being a part of the classroom. There are a ton of team-building ideas HERE. The take away from chapter 8? 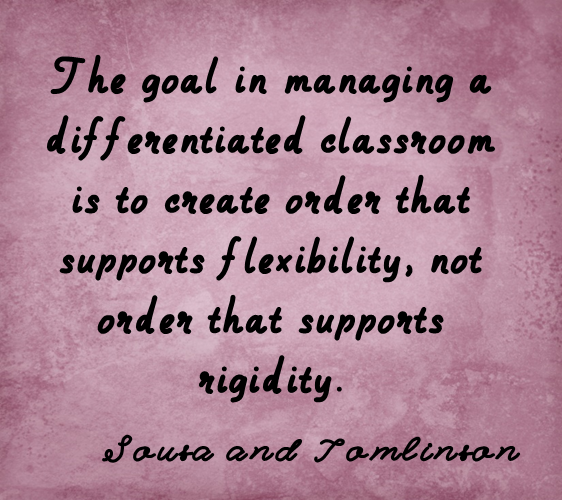 Leadership is the key to managing a differentiated classroom effectively. Leadership emerges from building relationships. Care about your students. Care about their learning. Have a quality curriculum. All will be well. What do you think? Do you have a differentiated classroom? Did you find this book as helpful as we did? Leave a comment below to let me know! Such a comprehensive post!! Thanks for sharing links, downloads, and infographics. This is so helpful for actually implementing all these ideas when differentiating. Thanks, Brigid! I was thinking about how to use the info in my class--great book!! !